Ingeniously random? I don’t think so. Ever wonder how dandelion seeds travel so far? According to the journal Nature, scientists now know. The secret is in the structure of those tiny white parachutes. Look closely at dandelion fluff, and you’ll notice lots of empty space between the bristles. Any parachute with that many gaps would be useless. 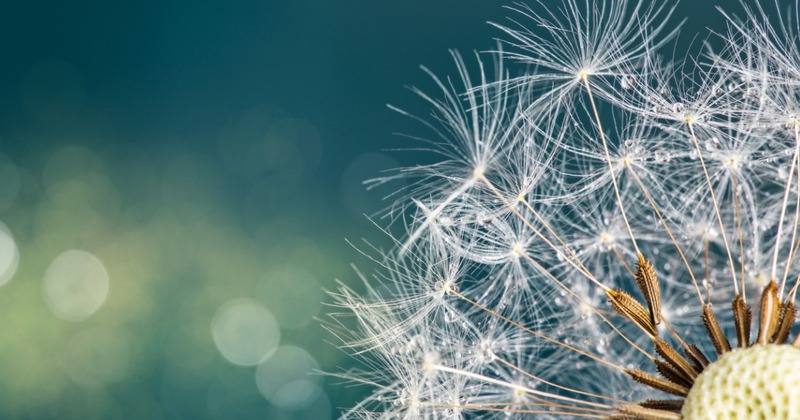 But for dandelion seeds, those gaps plus a “rare combination of size, mass, [and] shape” make it possible for a vortex to form above the parachutes. This vortex helps them stay in the air longer and move the seeds farther. As WORLD magazine points out though, how can a “blind random chance process,” form “ingenious solutions?” If it did, it never meant to. Ingenuity presupposes a mind. I agree with Nature that the design of the dandelion is ingenious. But it questions the evolutionary process, it doesn’t confirm it. This commentary originally aired on December 10, 2018.